Watch a Giraffe Give Birth! Live! 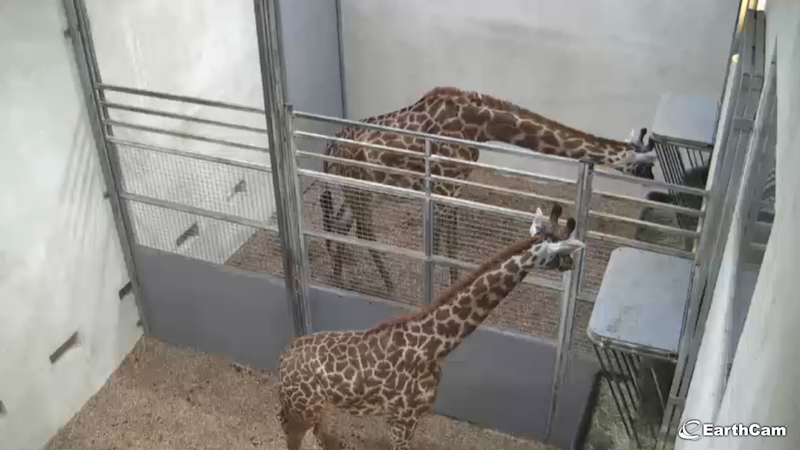 Something exciting is going down at the Greenville Zoo in South Carolina—at any moment, 7-year-old giraffe Autumn is about to give birth to a calf, and you, YES YOU can watch the miracle of giraffe birth live! Can you imagine if Autumn gave birth off-camera? There would be riots (okay just me sighing disappointedly, but still). Also, some fans have taken it upon themselves to create Twitter accounts for Autumn's first calf Kiko, and the unborn baby giraffe. Because people are strange and also the BEST. Also, I'd just like to say that I got a lot of respect for giraffe babies, because their first moments of life on Earth consist of them falling 2-3 feet and then hitting the ground. That's a harsh way to enter this world.